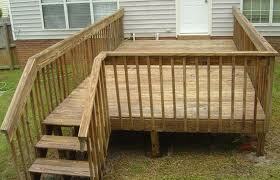 Tare down your old deck, porch or stoop. Work safely and efficient while protecting your home from anypossible harm and damage. Remove all debris, clean and sweep the work area and haul away all removed debris. Junk My Trashwill dispose of all material and debris responsibly. Whether you are looking to get a new deck or have a concrete slab or platform, you first need to get your old deck removed. 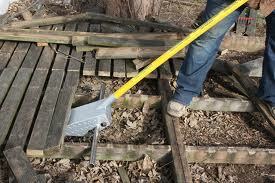 The removal of your old deck can be a big hassle and cause pain, discomfort not to mention it is a time consuming project when you do it your self. In some cases you might even have to hire two companies for this. One company would provide the labor and another would remove it. Junk My Trashis you one stop shop. Why go through any hassle and unneeded burdens. CallJunk My TrashNow! One call clears it all,866-544-5965. 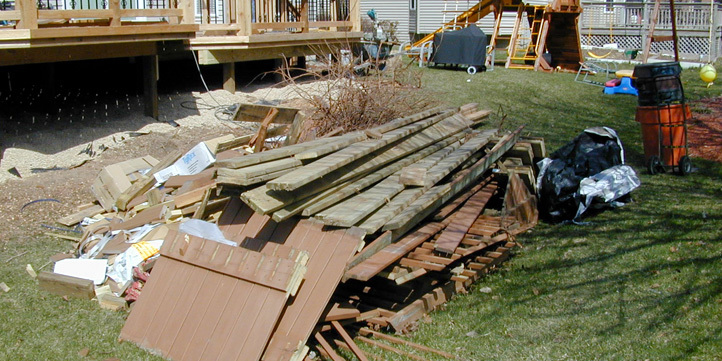 We can take care of it all for you, both the demolition of your deck and the removal and hauling of all demolition debris. Upon project completion, we clean up after our selves. By doing a full walkthrough we make sure there is nothing left behind such as rubbish or nails. You can rest assure that Junk My Trash will leave your property spotless.